New Balance:Following the spectacular New Balance clothing and apparel launch – Team Ireland Olympic “kitting out” distribution process began on the Friday 24th June when Irish Cyclist Nicolas Roche was first through the doors.Huge thanks to Electric Ireland for refurbishing one of their premises to ensure a positive athlete experience at “kitting out” .Over the four week period athletes and performance support personnel collected their superb New Balance Olympic Kit for the Rio 2016 Olympic Games and received additional items from Electric Ireland, Kelloggs and Proctor and Gamble . 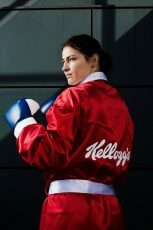 Kelloggs: Olympic gold medalist, Katie Taylor helped launch Kellogg’s official sponsorship of Team Ireland for 2016 Olympic Games.The partnership was promoted across a number of Kellogg’s brands, including Kellogg’s Corn Flakes, Special K, Squares and Pringles. The sponsorship announcement marked the beginning of Kellogg’s #greatstarts campaign, which shared the amazing stories of Irish Olympians, such as Katie Taylor, fueled for success by Kellogg’s cereal & snacks. 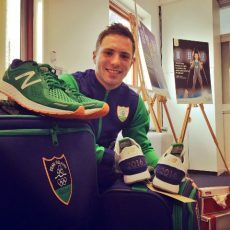 Electric Ireland: Electric Ireland, the Official Energy Partner of Team Ireland for the Rio Olympics, unveiled its sponsorship campaign The Power Within and included a strategic partnership with RTÉ across TV, radio and digital platforms. Supported by outdoor, PR, social media and an innovative Spotify partnership, it featured Boxer, Paddy Barnes, Gymnast, Kieran Behan, Rower, Sinéad Jennings and Swimmer, Fiona Doyle.It also included sponsorship of the highly anticipated Road to Rio documentary on RTÉ 2 which captured the ecstatic highs and crushing lows of Ireland’s top athletes across a range of disciplines as they trained, competed and tried to qualify for the 2016 Olympic Games. 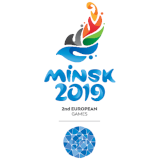 Muller: leading yogurt and chilled dairy pudding manufacturer Müller Yogurt & Desserts continued the Olympic year as proud Official Partner of Team Ireland with an exciting promotion across its Müller Corner, Müllerlight and Müller Rice brands, giving consumers the chance to win a total of £250,000! 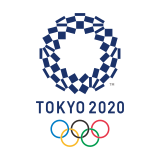 Samsung:Ireland’s Olympic boxers Katie Taylor and Joe Ward offered Jack Whitehall a masterclass in protection in a promotional an hilarious advert.